For a guy who named his company Forlorn Hope, I don’t really get the fascination with the Battle of Little Big Horn. June 25, 1876. Custer’s Last Stand . . . has any other piece of our history generated more (a) ‘experts’, i.e. everyone who has seen a movie or read anything on Little Big Horn; (b) books per capita of men engaged in battle – just under 700 troopers with Custer, perhaps as many as 1800 Native American warriors, 4,275 books listed on Amazon today; (c) debates – scholarly and otherwise – over exactly what happened; (d) movies; (e) [really] bad art; (f) [really] bad acting; (g) enduring myths? Just to get a bit of perspective, the Seventh Cavalry’s total casualties for the day were 258 killed, 52 wounded – that’s right, wounded, Custer’s command was not wiped out, he split his forces (through the mists of time one can almost hear him thinking “it worked for Robert E. Lee”), the five companies unlucky enough to follow him were annihilated, the others managed to get along under extraordinarily harsh conditions without their leader (who was hardly beloved in any event). Three hundred and ten casualties – that represents about six minutes of fighting at Antietam, Marye’s Hill, Cold Harbor. It’s a curious and very American phenomenon, this veneration, fascination with what amounts to a nasty skirmish. Less than three years later the British would lose 1,300 men (every infantryman) to 20,000 Zulus at Islandlwana. This generated surprise and disgust in the UK (and the obligatory formal painting) but no sub-culture “Chelsmford’s Last Stand” – although part of that battle was fought during a solar eclipse that gave it a glow of eeriness not present at the Little Big Horn. The very next day about 180 British soldiers held off at least 3,000 Zulus for 24 hours at Rorke’s Drift – that was briefly celebrated, then forgotten until the movie Zulu was released in 1964 (on many Top Ten war movie lists, mine included). There doesn’t seem to be the same fascination with the United States’ worst defeat to Native-Americans. One that dwarfs Little Bighorn. November 4, 1791 on the Wabash River in Ohio. One quarter of the full strength of the American army under Gen, Arthur St. Clair met forces of the Western Confederacy under Little Turtle and Blue Jacket. 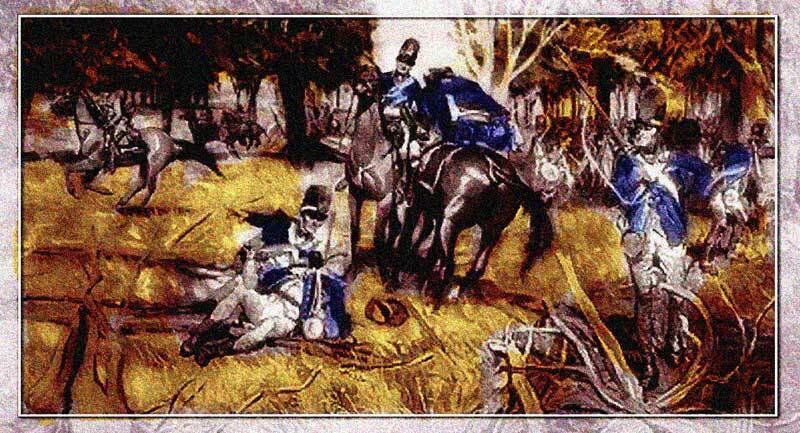 The Native Americans annihilated St. Clair’s forces. Of St. Clair’s 920 men, 632 were killed, 264 wounded. The American casualty rate of 97.4 percent is the worst casualty rate for a single action in American military history to date. And yet, no books, no movies, no one’s walking the banks of the Wabash by Fort Recovery, Ohio trying to figure out where St. Clair went wrong (he was one of the few survivors, so no general going down … plus, he didn’t wear buckskins). Custer’s Last Stand, though, endures. As excellent a writer as Nathaniel Philbrick, fresh off one of the best non-fiction books of past years, Mayflower, saw the need for yet another book about it. (I haven’t read it yet, but I hope he did what David Hackett Fischer did in Washington’s Crossing and included several chapters on mythology, art, books, etc). Archaeologists still comb the field debating where and when Custer fell (shouldn’t they be looking for the lost Ark or something more . . . relevant? ); 400,000 tourists a year go out of their way visit the field in the middle of nowhere; there’s probably a dozen more books on the way. 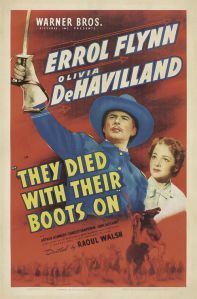 By the way – is They Died with Their Boots On the most entertaining-least-historically -accurate movie of all time? This entry was tagged Custer, Forlorn Hope Publishing, Little Big Horn. Bookmark the permalink.